It certainly has been quite a while, but I finally have time to post again! 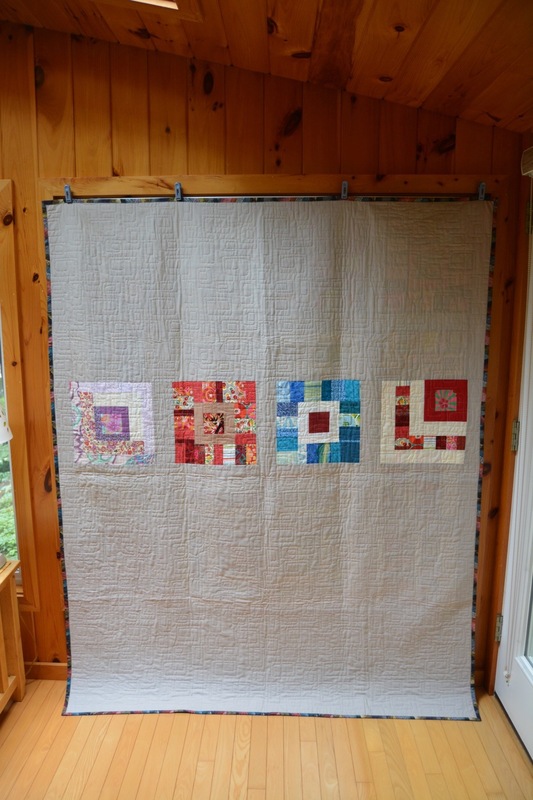 Back in March I brought my improvised scrappy blocks to the Boston Modern Quilt Guild Retreat and put a quilt top together. I finished this quilt a couple of months ago on my long arm. The back of the quilt has a few of the blocks, too. I am still saving my scraps and sorting them by color, but maybe I should throw them all in together and try a different approach next time! No matter what, it is a great way to be thrifty and also environmentally green. Reuse, recycle, and don’t waste any of your precious fabric! 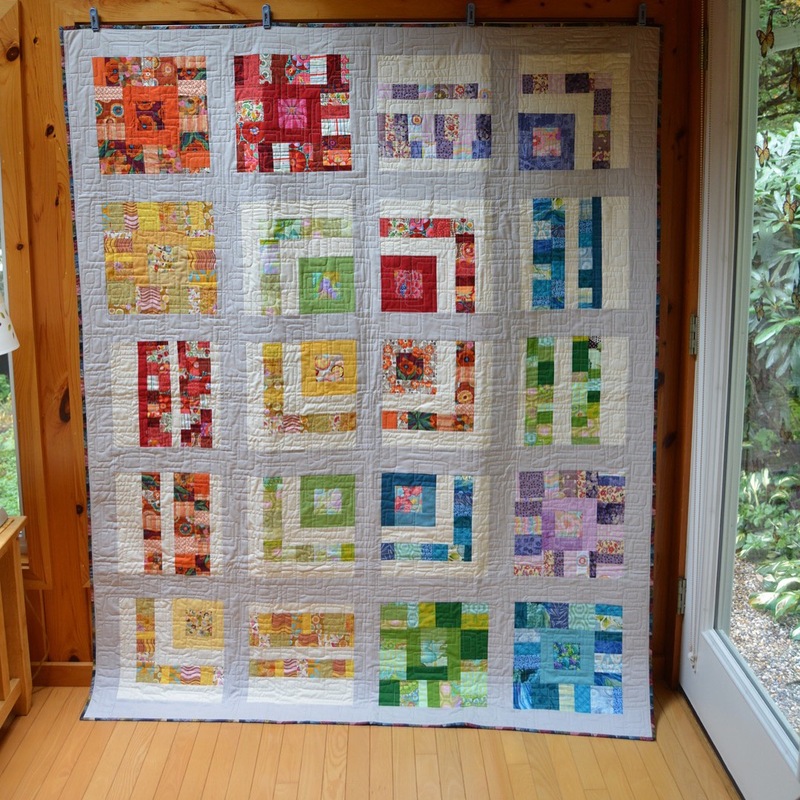 This entry was posted in Boston Modern Quilt Guild, Quilts and tagged improvisational quilt, modern, modern quilt, Scrap quilt on October 28, 2015 by pmegio.